WASHINGTON - Last Friday, the Trump administration introduced new sanctions on the Venezuelan government that will make it more difficult for state-run oil firm PDVSA to access foreign investment. PDVSA is heavily in debt, and is in need of new funds to refinance its maturing bonds. Without access to American capital, the oil firm faces the prospect of default – or greater reliance on Chinese financiers, analysts said. However, PDVSA’s US downstream subsidiary Citgo is exempt from any restrictions, but it will no longer be allowed to return dividends to its parent company. Citgo operates three refineries, which together handle about 10% of US oil imports. Other oil traders and refiners will not be directly affected by the sanctions, despite early warnings that the administration could attempt to interfere with the sale of lighter grades of US crude to Venezuela, sources said. “(Venezuelan President) Maduro may no longer take advantage of the American financial system to facilitate the wholesale looting of the Venezuelan economy at the expense of the Venezuelan people,” US Treasury Secretary, Steven Mnuchin, said in a statement last Friday. Also on Friday, PDVSA announced that it may partner with Chinese commodity firm Guangdong Zhenrong Energy to refurbish and operate its ageing Isla refinery in Curacao. The local Curacao Government has called for PDVSA to invest $1.5 bill in upgrading and modernising the facility. Isla is over 100 years old and it suffered a major fire in May, which cut its output by half. Guangdong Zhenrong has already signed a deal with Curacao to take over the refinery's operations in 2019, when PDVSA's lease expires. 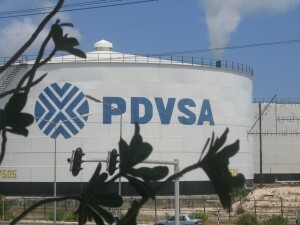 However, PDVSA is in negotiations with Curacao to retain control of one of its biggest refining operations. In June, PDVSA signed a deal with China National Petroleum Corp (CNPC) to build a 400,000 barrels per day refinery in Jieyang, Guangdong province. The refinery will be built to handle Venezuelan heavy crude, and it should open in 2020. Along with this long-planned development, PDVSA says that it is in talks with China Development Bank for funding 700 smaller projects, the analysts said.